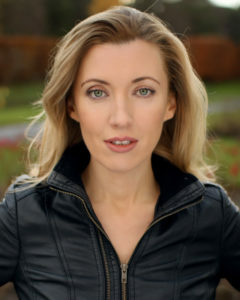 Amy-Joyce recently won the Underground Cinema Award for ‘Best Supporting Actress’ for her performance as Oonagh in the multi-award winning, IFTA nominated LILY. She plays Iseult in SANCTUARY, Len Collin’s groundbreaking, critically acclaimed film, which won awards around the world including ‘Best Irish Feature Film of 2017’ from the Dublin Film Critics Circle. 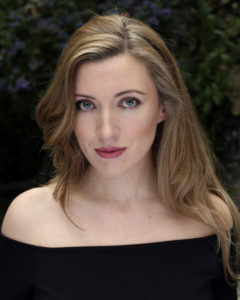 She has just completed filming mystery thriller THE GREEN SEA with Katharine Isabelle, directed by Randal Plunkett. ​She starred as the title character in THE CALLBACK QUEEN, a romantic comedy set in London’s film industry which premiered in the U.S. at George R. R. Martin’s Jean Cocteau Cinema. The film received two IFTA nominations at the 2016 Awards. BOND Movies casting director Debbie McWilliams cast Amy-Joyce in her debut role, as Oscar winner Julie Christie’s young daughter in the Irish family epic FOOLS OF FORTUNE, written by Michael Hirst and directed by Pat O’Connor. The film also starred Iain Glen and Mary Elizabeth Mastrantonio. She earned a Distinction at Trinity College, graduating with a ​Bachelor in Acting Studies​ from the Samuel Beckett Centre. She has since starred in an array of award winning feature films, shorts and prime time television drama, notably co-starring opposite Henry Cavill in an episode of Showtime’s multiple Emmy winning series THE TUDORS. Her many stage roles include her critically acclaimed performance in David Mamet’s OLEANNA, Maggie in THE NIGHT GARDEN developed by the Royal National Theatre Studio and performed at The Northcott Theatre Exeter, Estelle in AC Productions’ NO EXIT, Cathy in the first European production of Craig Wright’s ORANGE FLOWER WATER, Miranda in THE TEMPEST and Titanic Stewardess Violet Jessop in the world premiere of ICEBERG – RIGHT AHEAD! at the Gatehouse in London. Amy-Joyce is also an accomplished screenwriter and director, her short films having won numerous awards at festivals worldwide.